Booming imports of shrimp stood out amongst China’s top seafood imports of 2018, with 192,991 metric tons of shrimp worth $1.36 billion imported directly by the country last year, up 203% in volume and 187% in value compared with 2017. The figures, published along with the latest Chinese customs data, show as Chinese celebrate Chinese New Year on Tuesday more than ever before they will likely be dining on imported crustaceans. 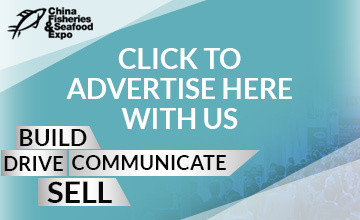 Undercurrent News recently reported China’s direct seafood imports ballooned 44% to $11.9bn in 2018, based on preliminary Chinese customs figures. According to the more detailed breakdown, China’s top imports consumed domestically are heavily weighted towards crustaceans, with shrimp, live/fresh rock lobster, live/fresh crab and live/fresh American/European lobster all ranked among top-five imports. Only direct imports of fresh Atlantic salmon represented the finfish category in the top-five, coming in fourth (see table). China’s imports of crustaceans are surging as domestic aquaculture production slows or even contracts, the country’s middle class expands, and smuggling routes from Vietnam into China are closed amid crackdowns by authorities. 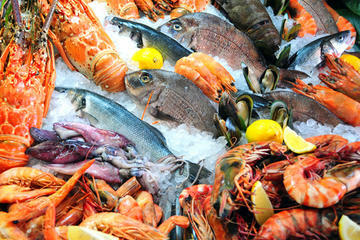 Crustaceans’ position at the apex of China’s seafood imports also reflects a culinary preference for whole, unprocessed seafood — claws, carapaces and all — which can be stewed, peeled and grappled with hands and chopsticks, rather than fish fillets or processed shrimp more common in the West. Moreover, China imported more lobster and crabs live or fresh by value than frozen equivalents. 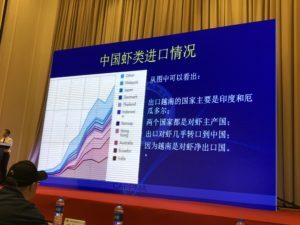 Chinese industry believes crustaceans have the best market prospects looking forward, too; in an Undercurrent poll of 16 Chinese industry figures, seven voted king crab would be one of the “hottest” seafood products in 2019; six plumped for cold-water shrimp (Northern pandulus), and five vannamei shrimp and Australian rock lobster. Among finfish categories, only salmon scored highly, with seven votes, followed by Greenland halibut with five votes. 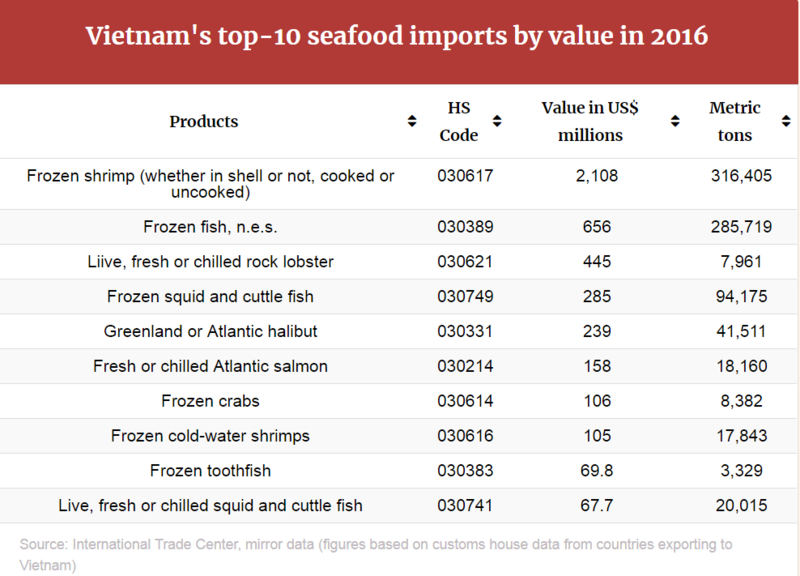 A table of Vietnam’s seafood imports compiled by Undercurrent News and published in February 2018. Crustaceans’ are being imported directly in greater volumes than ever before in part due to a dropoff in smuggling from Vietnam to China to evade Chinese import duties and inspection. 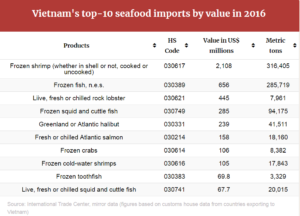 In February last year Undercurrent estimated Vietnam was a conduit for over $1bn worth of undocumented frozen shrimp imports alone, as well as hundreds of millions of dollars worth of live rock lobster, fresh Norwegian salmon, frozen Greenland halibut, crabs and squid (see table published in February last year). In 2018, China’s biggest growth in direct imports was of these frequently smuggled products. In 2018, China’s direct imports of live rock lobster grew 94% to $912m, while imports of fresh Atlantic salmon grew 83% to $652m. Imports of frozen Greenland halibut, supplied mostly by Greenland, jumped 223% to $310m, while imports of frozen toothfish rocketed 514% to $127m. China’s direct imports of frozen pangasius fillets, mostly from Vietnam, surged 189% to $268m. Demonstrating the benefit of China’s free trade deal with Australia, too, lower tariffs helped live rock lobster imports from the country surge to $466m in 2018. On Jan. 1 this year, Chinese tariffs on Australian rock lobster imports fell to zero. 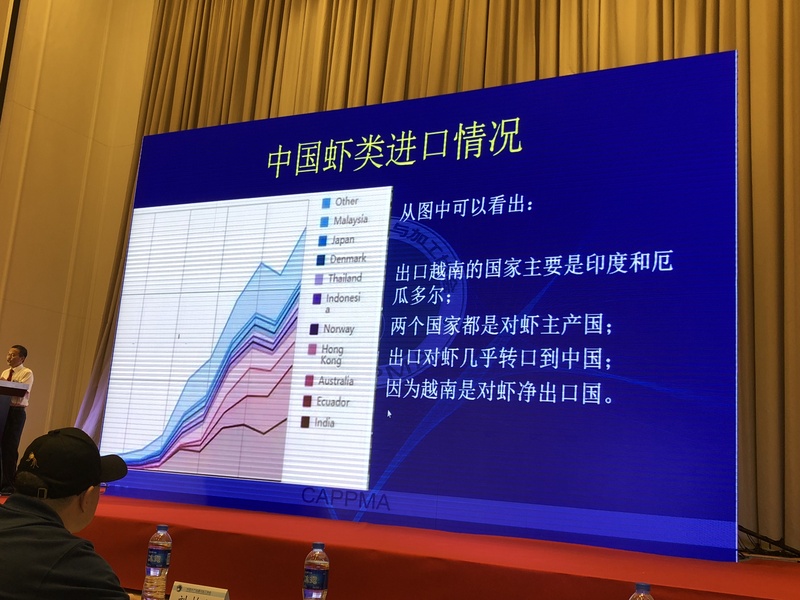 Last year, at the Global Aquaculture Summit in Fuzhou, China, Cui He, the head of the China Aquatic Products Processing and Marketing Alliance (CAPPMA), gave a presentation about China’s shrimp market. In it, he included a chart of Vietnam’s imports of seafood originally published by Undercurrent. The chart demonstrated how a huge spike in Vietnam’s seafood imports was, in fact, a proxy for a boom in Chinese seafood imports. “Shrimp exports to Vietnam are nearly all transshipped to China,” said Cui’s slide, next to the chart. Cui He’s presentation on China’s shrimp market at the Global Aquaculture Summit last June in Fuzhou, China. Cui estimated China’s undocumented shrimp imports from Vietnam to be roughly 360,000t in 2017. Cui, whose orgnization CAPPMA is directed under China’s ministry of agriculture, told Undercurrent in 2017 Chinese authorities were making efforts to curb grey trade of pangasius from Vietnam, by creating a register for large importers and cracking down on smuggling. 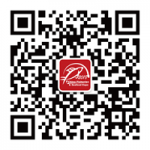 In 2018, good to his word, China’s direct imports of pangasius fillets increased 189% to $268m.